We’ve reached Day 4 of our mini-series on Real Food Supplements. Iodine is one that you are likely familiar with but don’t know much about. Since you are now eating unrefined salt that isn’t supplemented with iodine, it is even more important to eat foods that naturally contain this important element. Iodine is going to be a bit of a tricky one for some people. Thyroid issues are at epidemic proportions. Thyroid malfunction generally requires a higher dose of iodine supplementation so it’s safe and necessary for just about everyone, but there is a small percentage that actually has to avoid it almost entirely until deeper healing has occurred. Talk to a whole-listic practitioner who is skilled with all aspects of thyroid issues if you have trouble with increasing your food-based iodine intake. Those with autoimmune thyroid disease should not take iodine without close monitoring from a qualified practitioner. Iodine deficiency is one of the leading causes of brain damage. This is one of the major factors that led to iodizing table salt. It also explains why traditional societies put so much emphasis on special foods (mainly foods from the sea and organ meats) for prospective parents. Men and women often receive extra nourishment before conception, and it continues with the mother until she is finished nursing. Our bodies need iodine. When we are deficient, it will absorb whatever form is available. Radioactive iodine is quickly absorbed in place of stable iodine when body iodine levels are low. By increasing safe sources of iodine in your diet, your body will begin to release the radioactive isotopes and replace it with stable ones. There have been many studies on this since Chernobyl and residents of Japan and countries affected by the Fukushima nuclear leaks were provided with potassium iodine tablets to help offset the radiation exposure. Good news for those using chemotherapy/radiation therapy. I first read about using iodine for mole removal around the blogosphere. There are accounts that it either works great, not at all, or works well but then the moles return within a couple of years. My personal experience is that iodine applied to a mole does reduce its size, and increasing my intake of foods from the sea that contain iodine keeps shrinking the one I tested and is also causing skin tags to disappear. Yee-freakin-haw! This got the wheels in my brain spinning and made me wonder what causes moles and skin tags in the first place. Why are some people more prone to them and why do they increase with age? I can’t find any hard evidence where studies have been done on it, but chronic iodine deficiency certainly contributes to the problem. Many people who change to a real food diet (increase in nutrients) and begin the healing process (balance and detox) notice that skin tags disappear and the increase in moles either stops or slows down significantly. As with most issues plaguing us, long-standing nutrient deficiencies cause illness in many forms. Increasing chlorophyll and iodine are both important ways to help remove heavy metals trapped in the body. I will begin a new protocol after the first of the year to keep my blood sugar levels balanced while I significantly increase foods that contain iodine and chlorophyll. I’ll also step up my external detox methods to help remove the metals once my body starts releasing them (oil pulling, detox baths, lymph massage and dry brushing, gentle exercise, and rest). The steady balance in blood sugar will help support all of my body processes while I being a new phase of detox and avoiding sweets will help control any inflammation that may result. I have conquered a candida overgrowth (that one deserves another yeehaw! ), so I can better get to those metals embedded at a deeper level. High candida levels are often a sign that your body is trying to deal with too many metals. It uses candida to trap them and keep your brain and other body tissues safe from damage. I highly recommend being on a primarily homemade real food diet that focuses on meat, fats, vegetables, some fruit and nourishing antioxident teas before trying any secondary healing protocols for the average person. Let your body rebalance itself as much as possible before you jump into anything more invasive. *The more concentrated the dairy product, the better concentration of iodine, i.e. cheese and yogurt. Iodine in land animals (and farmed sea animals) usually depends the amount supplemented in their food supply. If you choose local, grass-fed dairy, find out how your farmer supplements his cows. Mine uses sea vegetables due to the nutrient-poor soil of the Midwest. Another benefit of eating real food is that your body will tell you when it’s had enough. Once your body begins to correctly recognize the nutrients it needs, it will tell you with cravings. Once that food stops tasting good and you no longer want it, that’s usually your stop signal. Click here if you are ready to begin an iodine protocol. Interesting article. I have a question about this part: Another benefit of eating real food is that your body will tell you when it’s had enough. Once your body begins to correctly recognize the nutrients it needs, it will tell you with cravings. Once that food stops tasting good and you no longer want it, that’s usually your stop signal. So if I have a strong aversion to any thing fish related, would that possible mean that my body doesn’t require what the fishiness provides? There are a few possible answers. I’ll briefly go over what I think are the most likely culprits. 1. Your body doesn’t recognize that this food provides necessary nutrients because you avoid it. For example, I still don’t like the taste of cod liver oil but I will really want to take a spoonful at random times. My body noticed it was low on some nutrient and steers me to a good source of it. 2. It could be related to digestion issues, where your body often avoids food that it find hard to digest. 3. It could be caused by an allergy, and your body is telling you to avoid that food and others like it because it is causing harm. 4. It could be from heavy metal toxicity though this is instinct more than scientific. I have determined through sensitivities to certain foods and materials that I am definitely holding onto high concentrations of heavy metals, and it shows itself in strange ways. Mineral-rich water like well water and baking soda with aluminum are two big triggers for me. Thanks Linda! I mainly get iodine through food sources. 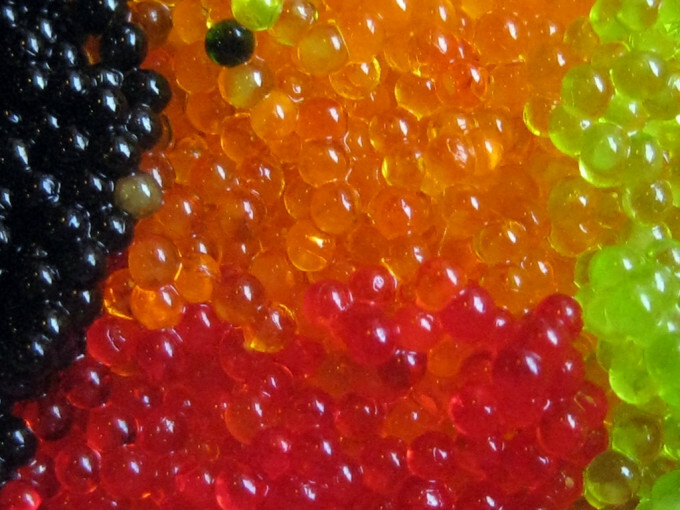 I have good-quality foods from the sea shipped to me (the companies I use are on my resources page) and use them like supplements, especially fish eggs. 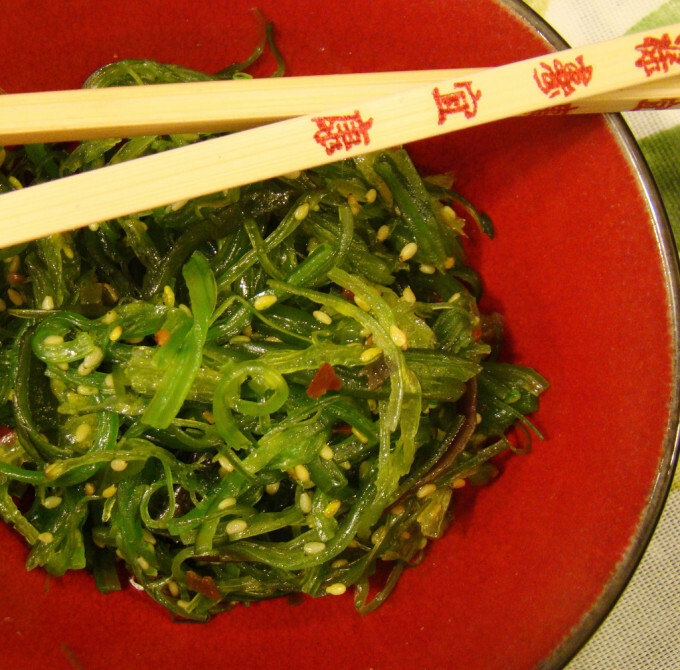 Seaweed is becoming a regular part of our diet, so that will be our main iodine source. I also use Lugol’s solution directly on moles when I remember to do it. Hi Jennifer … wanted to add that I’ve found iodine to work really well for mole removal. I simply bought tincture of iodine at the local crunchy health food store pharmacy here in Austin and applied it to the moles. At first they inflamed a bit then calloused over and disappeared. Thanks for sharing this with us a Scratch Cookin’ Tuesday! I love that this kind of information is coming back around. Thanks for sharing your story crunchy granny. 😀 Love the name change by the way. Super cute. Hi! I love this article! I’m having thyroid issues as of late where I was told that I’m borderline suffering from hypothyroidism but part of me also thinks that I’m also borderline hyperthyroidism…. My weight fluctuates like you wouldn’t believe & many other issues like dry skin, hair loss &digestive issues like crazy! I primarily eat seafood & fish that’s wild caught & use pink Himalayan sea salt…. Does that have iodine in it? Help! Unrefined salt doesn’t have a significant source of iodine but usually contains traces. I am having very good luck supplementing with Lugol’s solution: http://amzn.to/17i8epV. I would also suggest reading Dr. Brownstein’s book on iodine: http://amzn.to/10oJWGE. It sounds like you would benefit from a digestive healing protocol to start your healing journey. In nutritional therapy, digestion is always a first priority and initiates the healing in other areas of the body. I’m in the middle of posting a series on digestive healing if you’d like to follow along: http://www.20somethingallergies.com/healing-digestion-restoring-mucous-layer/. I’d love to hear more about your experience with iodine supplementation with Logol’s. I trust your opinions and findings and am interested in doing this myself, but want to hear your take on it as part of my research. I have had great luck with supplementation. I am using a 12.5 mg dose and have noticed significant energy increases over the last month. I’m going to give it another month, and then share a post on my protocol and progress. If you have no iodine sensitivity (those sensitive shouldn’t take it unless under a practitioner’s care), I would suggest starting small with 6 mg 2 days on and 1-2 day off for the first 2 weeks to see how your body handles it. Read up on Dr. Brownstein’s work and look into salt loading for bromide detox too. I appreciate your response. After reading through your blog, I can tell we have a lot in common in regards to sensitivities, allergies, etc. and so I value your perspective since you’ve been there. Even kelp tablets seem to start bromide detox for me, so I will look into the salt loading. Good info about the on and off day dosing too. I think that will help me. Finding friends with similar woes is the best part of blogging. 🙂 I hope the suggestions help you. After a couple of wonky weeks, it has made such a difference in my energy levels. I hope my moles start disappearing after I start eating some dulse daily. I hope they just start disappearing from the inside, as I don’t like the idea of treating them on the outside since the conditions which caused them in the first place is within the body. I have read that it’s important to supplement with selenium when ingesting iodine because the detox places stress on the kidneys…right now I eat one Brazil nut when I take my oil-based Vitamin D drop because it supposedly needs protein to “carry” it. But I don’t know if I should eat another Brazil nut at the same time as having a little bit of dulse or if that might be too much selenium. Or I guess I could just take half a bite when I take the Vitamin D and save the other half for when I eat the dulse….it starts getting complicated when there are so many supplements to take. I also hope helping my thyroid will in turn help my adrenals. I don’t know how true it is but I read that it’s not a good idea to focus on the thyroid before checking to see if your adrenals are OK..what do you think? Eating a small amount of seaweed will not likely be enough to remove moles but getting an adequate iodine intake along with a detoxification routine can help prevent new ones. Existing ones usually require a topical application of iodine. If you are getting an adequate amount of selenium during the day, your body will use it as needed. It doesn’t necessarily need to be taken at the same time as your supplements. It is definitely important to also focus on adrenal health if you are trying to heal thyroid dysfunction. I recommend this test to help determine if you have it: http://www.20somethingallergies.com/adrenal-fatigue-test-at-home/. Jennifer, thanks so much for your reply. I have been plagued by moles when the rest of my family doesn’t seem to have as many as I do and I don’t think their diet is all that much better than mine. I also lose tons of hair for some reason and I think it has something to do with my thyroid although I cannot confirm that since I do not have insurance. It’s frustrating when I read so many different opinions on what could be causing these issues so I am left to guess on what to do about them in the meantime. Thanks again…I will enjoy browsing your website as I’m sure there will be lots of helpful articles. Best of luck Sophie! Look into Autoimmune Paleo and methods to heal adrenal fatigue to also help naturally support your thyroid.